This summer’s hottest new game is best known as a geezer’s pastime. But this new wave has a competitive pro circuit, a party atmosphere, and even advanced analytics. Shuffleboard is cool now. Tom Petty and REO Speedwagon boomed off the grandstand seats. Players were illuminated by twinkling white Christmas lights hanging from the rafters above the open-air setup. The hubbub was punctuated by the rhythmic smacking of heavy plastic discs against each other and the intermittent eruption of cheers. I stood, stunned into silence, marveling at this unfettered display of youthful vigor. 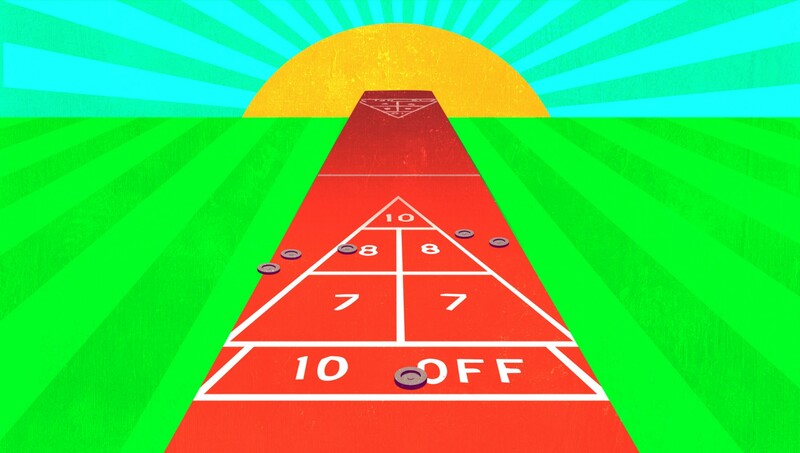 When did shuffleboard — that bastion of geriatric time-killing — become cool?